Come one! Come All! This brand identity, poster series, and catalog were extremely fun to make. All the lettering is hand paint. 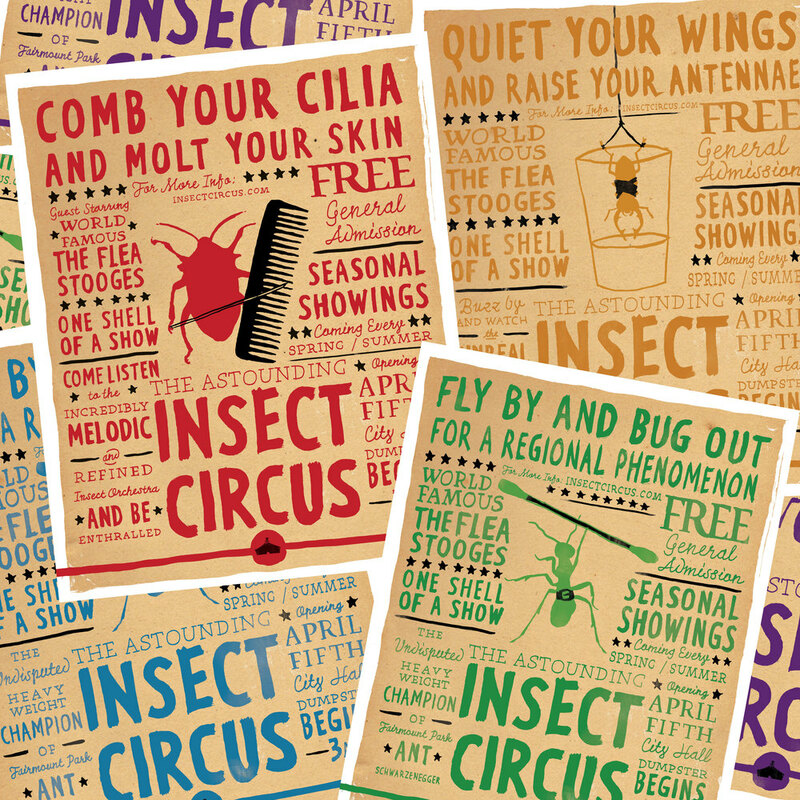 Held in the Dumpster behind City Hall, comes the smallest circus around, The Insect Circus.